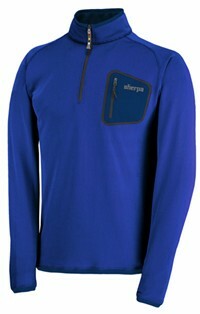 The Sherpa Adventure Gear Sonam Quarter-Zip Base Layer is a long-sleeve base layer shirt and according to the manufacturer is suitable for cool weather as well as summer. It arrived with a two-part hang tag consisting of general information about the manufacturer as well as a specific hang tag for the Sonam. I found the Sonam to be exceptionally well crafted. It is constructed of 54% polyester / 46% Dry Zone� nylon fabric. The manufacturer claims it to be a "smart" fabric, meaning that it should keep me cool when it is warm and warm when it is cool. Sounds like a neat feature to test! The seams are made with flat lock stitches, which I prefer especially with base layers. On the back of the Sonam, where the nape of my neck would be is the manufacturer's logo printed on the fabric. On the inside, there is another printing of the logo, but also the size, manufacturer's SKU for the product as well as their website address. On the front of the Sonam is an exterior, zippered pocket measuring approximately 4.75 in (12 cm) across. It is trapezoidal in shape with one side measuring 6.75 in (17 cm) high and the other 4 in (10 cm). The zipper has a thin piece of cordage looped through it as a pull tab. The photo below shows a closeup image of the pocket with a snack in it. The chest also has a zippered opening about 1/4 the length of the base layer, well it is a quarter zip after all! This zipper pull is a little more "fancy" and even has a little plastic mountain at the end! The collar is approximately 2 in (5 cm) high. Upon inspection I could find no loose threads or irregularities. In fact, there are a number of nice touches. The flat lock stitching on the inside of the neck is faintly printed with the manufacturer's name. Another nice feature is the placement of the shoulder hems; they are offset to the front and back so the shoulder straps of my backpack shouldn't cause them to irritate me. Finally, the hems of the cuffs and waist incorporate a nice complementary color. I have included an image of the cuff below as well. The care instructions were simple and easy to read. They also include the universal symbols. These instructions mention that Sonam should be machine washed in cold water with like colors. Bleach is forbidden as is dry cleaning. A cool iron may be used if desired, although I can't imagine ironing a base layer! After washing, the Sonam can be placed in a low setting in the drier. It just so happens that I managed to take a hike with the Sonam. I am glad that I ordered an XL as opposed to the L size recommended by the manufacturer's sizing chart. It is listed as an "athletic fit" but I normally size one up when I see that. I don't (or at least shouldn't) fall into an overweight category, but my frame is on the larger size. So far, I have worn the Sonam a couple of times and I find it to be comfortable and kept me warm during the brisk weather I was hiking in. I am really looking forward to testing out some of the features of the Sonam. If it can really adapt to variable temperatures, it will be great for the mountain hiking I normally do. I really like the way that it looks and feels. I would like to take the opportunity to thank Sherpa Adventure Gear as well as the folks at BackpackGearTest.org for allowing me to be a part of this test series. Please check back in approximately two months from the date of this report for my Field Report. Over the past two months, I have worn the Sonam on three backpacking trips as well as four day hikes. My first trip was in the San Isabel National Forest in Colorado in the vicinity of Brown's Creek. The temperatures were mild from between 30 and 50 F (-1 and 10 C) with sunny skies and breezy conditions. My campsite was at approximately 10,500 ft (3,200 m) in subalpine forest conditions. There was a small amount of snow about the area, but the trails were mostly clear. My second trip was into Missouri Gulch in the Collegiate Peaks Wilderness in Colorado. Temperatures were unseasonably warm; between 50 and 80 F (10 and 27 C) with mostly sunny skies. 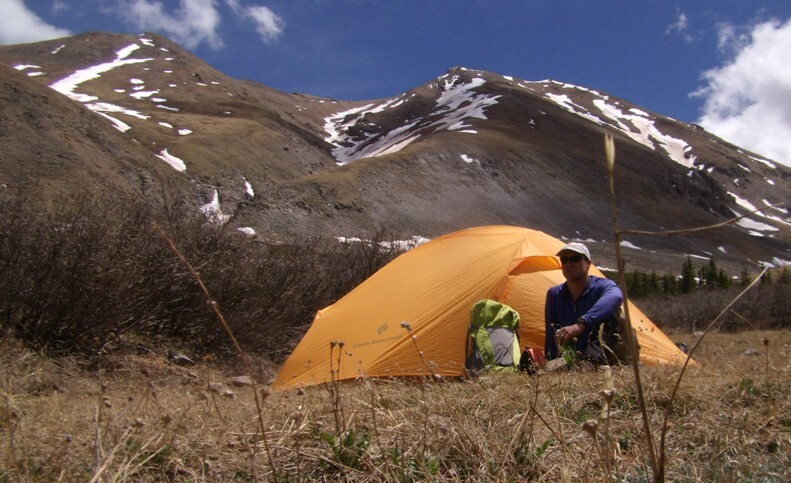 I camped at 11,750 ft (3,600 m) in an alpine meadow. The final trip I took was an annual trip up Longs Peak in the Rocky Mountain National Park. 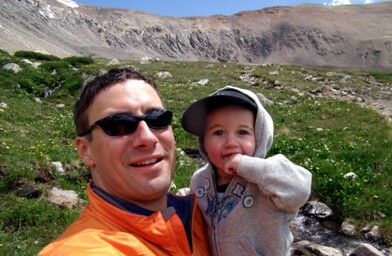 The elevation was 9,400 - 14,255 ft (2,865 - 4,345 m) on rocky alpine terrain. With the temperatures ranging from 80 to 40 F (26 to 4 C) and conditions from sunshine to snow pellets we needed to be prepared for anything. While it was quite windy at the time the overall conditions were fine. As I mentioned above, I have also taken four other day trips where I encountered variable conditions. All but one were summit hikes over 14,000 ft (4,267 m). I have also worn the Sonam on several mountain bike rides as well as around town. I have been very impressed with the Sonam to date. I have experienced a wide range of conditions and as a result have come to love this base layer, but it has not been without some minor concerns. I was a little skeptical of the manufacturer's claim that the fabric would adapt to different temperatures. So far I have found that it does a good job as a base layer in cool and mildly cold conditions. In warm weather I notice that I get a little warm, but upon reflection I do feel it does a reasonably good job of cooling me off. I really think it is more psychological that I am wearing a long sleeve shirt in 80 F (27 C) weather! In these conditions I think the real benefit for me has been the protection offered from UV rays. I haven't had any sunburns on my arms, although I did forget to apply sunscreen on my chest and noticed a little redness from the open zipper on my hike in the Missouri Gulch area. The fabric has held up quite well so far. I can find no deterioration and the zippers both move quite freely. I generally dry the Sonam on medium with my other hiking clothes and wash in cold water. It still fits just fine! I noticed a stain from performing some bike maintenance on the trail one trip. It is almost right in the middle of the chest but it has faded a little. The manufacturer does not make any stain-resistant claims so I suppose that is what I get for being clumsy! In the warmer weather of spring and summer I have worn the Sonam by itself rather than under additional layers. While the manufacturer makes no claim to be wind-resistant, I did cool off quite a bit in several of my summit hikes when the winds picked up. I suppose the Sonam performed its job perfectly since the winds really cooled me off! In these situations I put on another layer or a shell and remained warm. I am glad that this base layer can be so versatile. I have found that the Sherpa Sonam does exactly what it claims to. It keeps me warm in cool temperatures and reasonably cool in the hot, dry summer heat. While I need to bring along an extra layer or shell for wind protection it isn't a problem that concerns me much. Although I would never have thought to wear long sleeves in the summer, this shirt is converting me ever so slightly! I have several more trips planned this summer as well as day hikes. Will the Sonam get the same high marks from me after another two months of testing? Please stop by in about two months to see! I would like to thank Sherpa Adventure Gear and the folks over at for allowing me to be a part of this test series. Over the past two months I have worn the Sonam on an additional two overnight trips as well as four summit attempts in Colorado as part of day trips. These have included trips in the San Isabel National forest as well as the Maroon Bells Wilderness Area near Aspen, CO.
Three of my day hikes had fantastic weather; sunshine and warm temperatures in the 70's F (20 C). On my trip to the Maroon Bells the temperature was much cooler at about 50 F (10 C) and a mix of rain and fog. For at least an hour the rain was pretty steady. Trails were quite variable as some followed old jeep roads and some were off trail scrambles over (and under) boulders. Trip lengths were between 4 and 12 mi (6 and 19 km) and at high elevations between 10,000 -14,000 ft (3,000 - 4300 m). Both of my overnight trips were near Aspen, CO in the Maroon Bells Wilderness area. Aside from being some of the most scenic parts of the Rocky Mountains I have explored, the weather and conditions were rather varied. The first trip was a short backpack trip in to scout out some approaches. The weather was fairly warm at about 75 F (24 C). The second trip was a car camping trip with my family but the overnight temperatures dipped to 31 F (-1 C), brrr... Rain plagued the first trip while sunshine and clear skies were the norm on the second. Wearing the Sonam on a hike with my son. For the majority of my trips and hikes I have worn the Sonam under either a microfleece layer or as a stand alone layer. from time to time I put a t-shirt or button-down shirt over it and on my most recent trip I added additional layers of fleece and a shell for warmth (it was below freezing after all!). Throughout the test period I have been impressed with how comfortable the Sonam is. The flat seams are well placed and the fabric is silky-smooth. In the community I live in where every other person is rafting, mountain (or road) biking and hiking, the Sonam even passes for a regular shirt. The stain I reported in the field test has all but disappeared and it would be difficult to spot if I didn't know it was there. Caring for the Sonam has been simple and easy. I really have not had to alter my laundering practices to care for this. Throughout a good portion of the summer, central Colorado had warm temperatures. While I never felt too hot, there were some times where I feel as though I would have been more comfortable in a short sleeve shirt. This wasn't much of a problem on my backpacking trips, but on some of my day hikes I limited myself to what I was willing to carry. 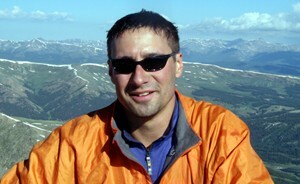 While I appreciate the UV protection, I have relatively dark skin and don't burn easily, even at high altitude. For summer hiking I think I just prefer t-shirts! In the cold or cool temperatures, the Sonam really shines. I do feel as though the moisture wicking properties of this base layer are excellent. I noticed that my back did not feel as sweaty as usual and I felt comfortable almost all the time. The shirt dries quickly, especially in this arid climate I live in! I noticed a few areas on the shirt sleeves where some snags in the fabric have shown up. It doesn't show up without a close inspection and frankly I hadn't noticed it before. All of the seams and stitching are intact, which is a plus. 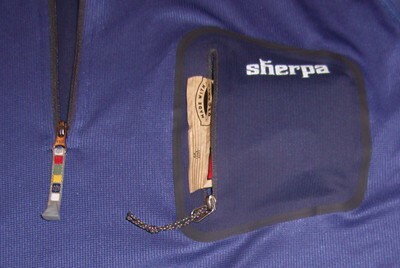 The zippers and pocket still function like new as well. Overall I would characterize the durability as excellent. This is definitely the most comfortable base layer I have owned. I think I may stick with short sleeve shirts in the summer, but this will definitely accompany me in the spring, fall and winter months! I would like to take the opportunity to thank Sherpa Adventure Gear as well as all the folks at BackpackGearTest.org for allowing me to be a part of this test series.